Apple announced the successor to Mac OS X Mavericks at their Worldwide Developer's Conference 2014, and it's called Yosemite. Named after California's Yosemite National Park, it will be available as a free upgrade from the Mac App Store for everyone this fall. If you want to get a sneak peek into what Mac OS X 10.10 has to offer, this summer Apple is running a Beta preview for the public—not just for developers—that you can download and install on your Mac. Apple released the new Mac OS X 10.10 Yosemite in the Mac App Store for everyone to download and install for free on October 16th, 2014. Download it from here. UPDATE 1: Public Yosemite Beta Now Available! 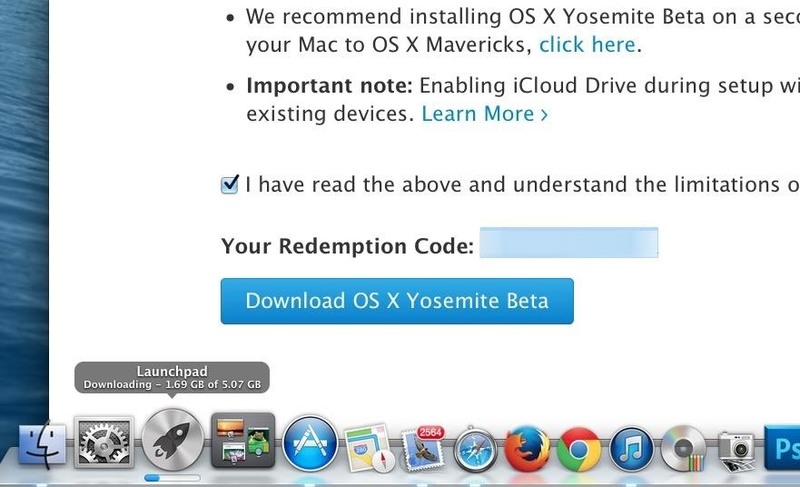 Though developers have had access to the Yosemite preview for a few months now, those of you who have signed up for the general public beta preview have yet to receive that golden email with the download link. Well, that day is finally here. Apple finally released the public beta on Thursday, July 24th, which is said to be the same "Preview 4" build that developers received on Monday, July 21st. If you didn't sign up for the Yosemite public beta yet, it's not too late—just follow the instructions below to do so now, but only the first 1 million singups will get codes to enter in the Mac App Store for download. You can sign up to get the public beta preview right now over at appleseed.apple.com/sp/betaprogram. Developers will be able to download and install Yosemite immediately via the Mac Developer Program. Just hit the "Sign Up" button and enter in your Apple ID info to join the OS X Beta Program. Then "Accept" the Agreement. If you're one of the first million users to sign up for access, you'll be able to download and install it right away (as of July 24th). Just make sure you're signed into the beta program page with your Apple ID. From there, you can hit the "Get Redemption Code" button to go the install page where you agree to the TOS, which will reveal your redemption code. Then, just visit the Mac App Store, enter the redemption code, and wait for it to download. Then, just visit the Mac App Store, enter the redemption code, and wait for it to download. You'll see its progress in your Launchpad. If you get an error code when trying to redeem the code in the Mac App Store, Apple suggests refreshing the webpage where you got the code to generate a new one. Reports have confirmed this works. Once you've downloaded it, it'll prompt you to start installing it. Close the install app and make sure to make a bootable install USB drive of Yosemite for safekeeping, and considering dual-booting Mavericks and Yosemite. The OS X Beta Program is free and available for anyone who signs up, and lets you give Apple feedback on their new software. The Mac Developer Program is specifically for devs to text and build OS X apps. 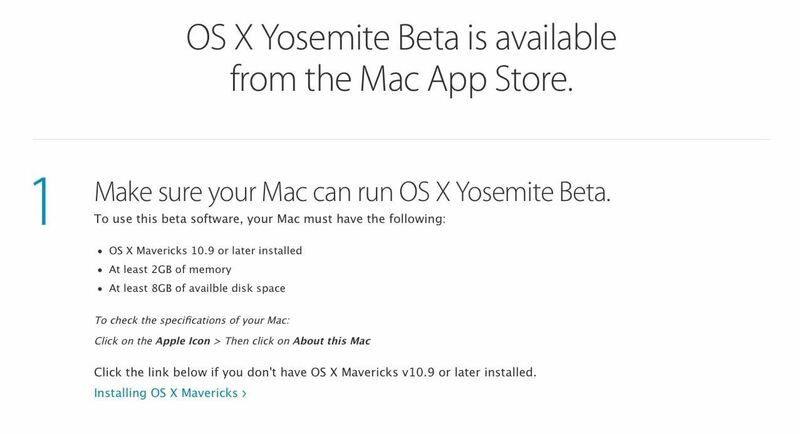 To learn more, check out Apple's FAQ for the Yosemite Beta Program. The Apple beta site is getting hammered right now, I'd give it an hour or so to calm down if you want to get in and sign up. I just got the update in my developer account, went and installed it on my MacBook Pro and now the computer no longer boots. Might want to wait for apple to work a few more of the bugs out. Trying to figure out how to get it to boot. I've got the dev version installed on another partition and it's working pretty good so far. Did you ever get yours to boot?